All the allegations leveled on Pujya Bapuji are false and baseless. My Bapuji is a real saint and an embodiment of self-restraint. Everyone knows that the lives of crores of people have changed for the better due His proximity and the lesson of self-restraint taught by Him. This fasle propaganda will not stay for long against Pujya Bapuji. Just as clouds can’t obscure the sun for long; similarly; the clouds of bad publicity will not be able to obscure the real image of Pujya Bapuji. I’m fortunate enough to have Pujya Bapuji as my husband; and now I worship Him as my Guru. He; who has become desireless after forsaking all his passions and desires; has completed all his studies; and completed all his religious exercises and ritual ceremonies. What examination such a great man needs to take? He came home and told me very clearly that if you love anything other than God; you will certainly end up weeping only. He left home saying ‘I am going for God-achievement.’ He remained under the guidance and patronage of Pujya Leelashahji Maharaj for seven long years. 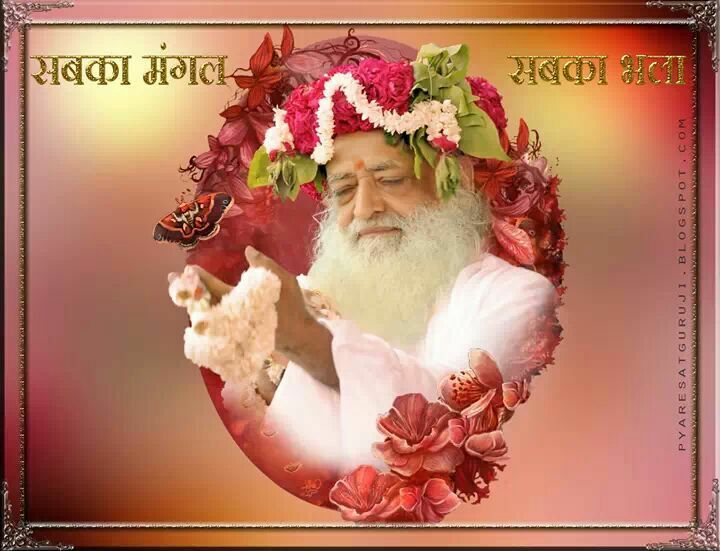 I was really very impressed with His (Pujya Bapuji’s) devotion, self-restraint, steadfastness and allegiance. His Gurudev was told about my gentlemanliness and He happened to come to Ahmedabad. Sadguru Sai Shri Leelashahji Maharaj kept His hand over my head; and that added feathers to my cap; and since then my life blossomed like a flower. How much happy, satisfied and pious I have become due to spiritual favour and freedom from passions among lakhs and crores of women; either I know it myself; or God and our Gurudev (Pujya Bapuji) know it. I am very-very fortunate that I got such a great man as my husband; who helps me spiritually as a Guru. All the allegations levelled on my daughter Bharati are false, concoked and made up stories. I have full faith in her conduct and behaviour. She is very self-restrained; and several girls have also become self-restrained due to her pious company and nearness. Can you believe such a thing any wife can do for her husband or a dughter can do for her father; as we have been blamed of? Never! Never! !